Home NEWS “Get your facts right! No life lost in current drought” – CS Wamalwa refutes media reports. “Get your facts right! No life lost in current drought” – CS Wamalwa refutes media reports. 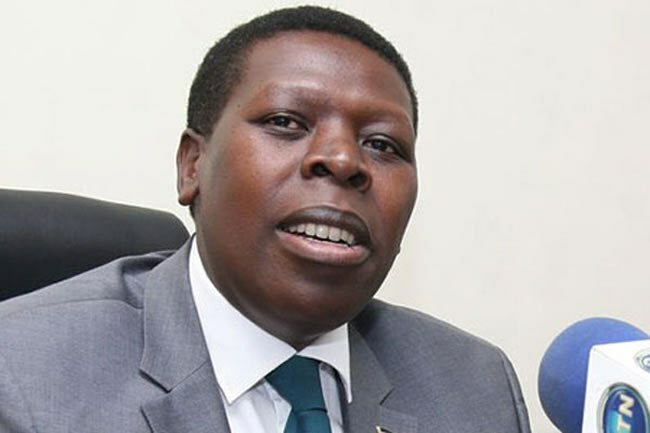 Cabinet Secretary in the Ministry of Devolution and ASALs Hon Eugene Ludovic Wamalwa has refute media reports that scores of Kenyans have succumbed to hunger following the current drought experienced in the country. In a live interview with the Citizen Tv on Tuesday night, Wamalwa insisted that no one had died from hunger adding that the country had not yet reached a stage where ‘we are at alarm stage for our counties’. “As of tonight, there is no death that has been verified as a direct cause of the drought. And as we speak, we have not reached a stage where we are at ‘alarm stage’ for our counties,” he told the presenter. Wamalwa admitted that, as a government, they were in no position to stop politicians from saying what they wanted to say but insisted that all those allegations (of deaths) being peddled around have not been verified. However, he stressed that they were working to ensure no life was lost. He added that the country had over 4 million bags of maize in our Strategic Food Reserve and the government was doing everything possible to move this food from areas of plenty to where it was needed most. “We do not have to make allegations that make citizens panic. There is no cause for alarm. There is plenty of food within our borders. All we need is to transport the food to where there is a deficit. We are moving in to support counties in bringing in food and water,” he said. The CS said that a lot had changed (in the affairs of the state) when compared to the past with counties being their first line of defence.